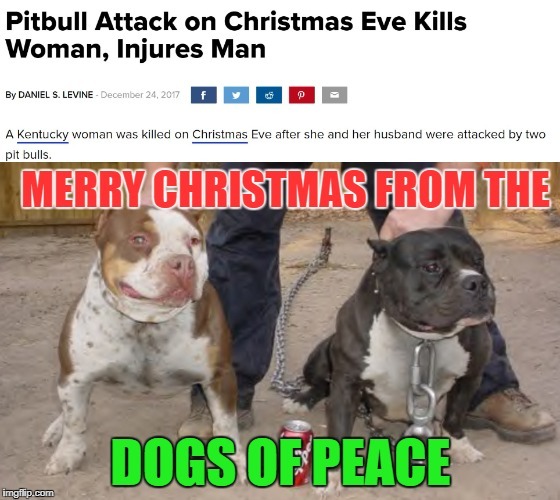 Remember, Pitbulls are good, the liberals said so..
Where's the part where liberals defend the dogs? I don't see that in this meme. Oh, because it's not there. And that makes you a liar. Your salty whining is more proof.. what a tool you are. They're good dogs! As long as they're raised right! I have a pitbull mix and she is very sweet. And another victim.. Octavia_Melody what a classless liberal tool you are. A dog bred to kill, what could possibly go wrong? Bring it on defenders..